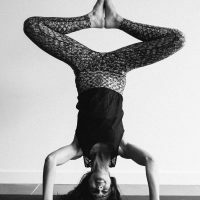 Our headstand special ‘Learn to FLY!’ workshop-style class with Louise will look at the foundations we need to put into place to be able to add a variety of headstands styles into your flow practice safely. This class is suitable to those that have an existing vinyasa practice. You do not already need to be able to do headstands but come with an adventurous attitude to giving things a try!